A safari to an exotic wilderness often ranks highly on the holiday to-do list of many a prospective tourist, and it comes as no surprise. Few things rival watching a pride of lions stalk off into the African twilight or catching a glimpse of a striped tail melting into the thick undergrowth. But while you’re sipping on sundowners and listening to a field guide regale you with fascinating facts and tales from the bush, it’s easy to forget that many of these animals can be extremely dangerous. Although it’s unusual for wild animals to attack if unprovoked, there have been enough recorded instances of injury and death to send a shiver up the spine of even the bravest adventurers. 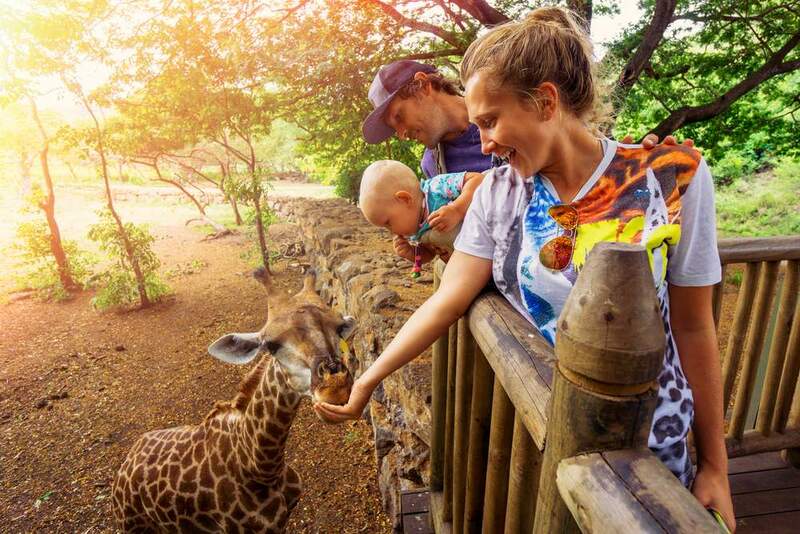 But don’t let it put you off your safari just yet; for the most part you needn’t worry if you’re visiting a recognized game park. Here’s a list of ten of the world’s most dangerous animals and some tips on where you can find them (so the adventure-seekers can track them down and the skeptical can steer clear!). The hippopotamus is a massive semi-aquatic mammal although much of its grey bulk is often concealed below the water surface, leaving only the protruding nostrils and eyes visible above the waterline. In order to keep their huge bodies cool in the scorching African heat, hippos spend about 16 hours a day wallowing in rivers and dams. They are graceful swimmers and it’s no surprise that the Greeks named these colossal creatures “River Horses”. So why should you be afraid of these seemingly placid giants? Well for starters, hippos are said to kill more humans every year in Africa than any other animal. They take advantage of the cooler night temperatures and use this time to graze on the riverbanks. 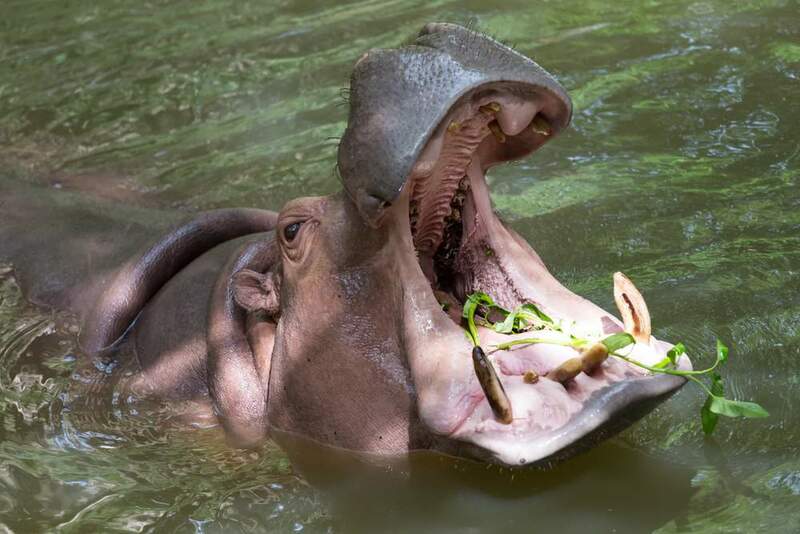 If you accidentally startle a hippo and get between it and the water, you’re in for a fear-filled game of human vs. hippo. For short distances, hippos can match humans in speed and they don’t take kindly to people getting in their way. To be fair you only really need to be worried if you’re wandering around an unfenced game reserve camp in the middle of the night, or cruising down a hippo-infested river channel in a wonky canoe. But, my advice is to keep your distance. 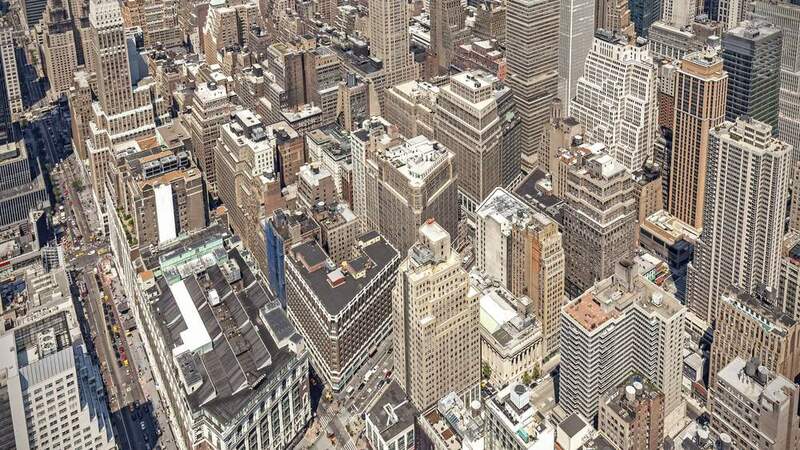 Territorial creatures packing canine teeth measuring in excess of 60 centimeters are best viewed from afar! If you’re keen to check out these awesome animals, the biggest populations can be found in East African countries such as Tanzania, Zambia, and Mozambique. You’ll also find them in the waterways of many other African countries such as Botswana, South Africa or Zimbabwe. The Zambezi River is well-known for its high hippo concentration, so be sure to visit Mana Pools National Park in Zimbabwe or take a trip to Zambia and check out the Lower Zambezi or South Luangwa national parks. The Indian cobra is probably the most famous of India’s venomous snakes. It is embedded in Indian mythology and culture and is recognized as a powerful Hindu deity. It is also the creature of choice for India’s brazen snake charmers. 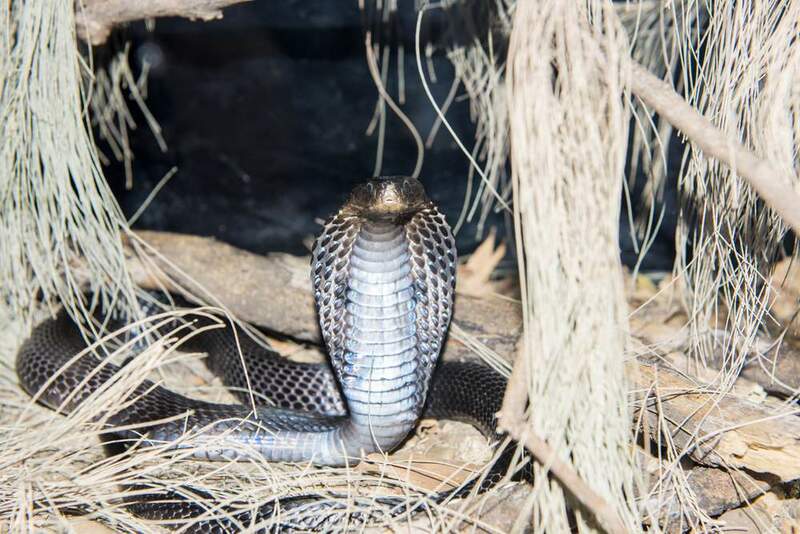 The Indian cobra is one of a collection of snakes known as the ‘Big Four’ (the others include the common krait, Russell’s viper and the saw-scaled viper). These slippery customers are responsible for the highest number of snakebites in the country. So, what happens if you are unfortunate enough to be bitten by one of these highly venomous cobras? Well, the post-synaptic neurotoxin will begin to paralyze your muscles and if you’re really unlucky, it’ll lead to respiratory failure or cardiac arrest. The cobra’s venom can kill in less than an hour. If that hasn’t put you off, you’ll find these beautiful snakes in the jungles, plains, fields, urban cities and snake-charmer’s baskets (during the Nag Panchami festival) across India, Bangladesh, Sri Lanka and Pakistan. Although they may look cute and fluffy, make no mistake, polar bears are vicious predators. With incredible camouflage, webbed toes for walking on ice, huge forepaws that work like paddles when swimming and non-retractable claws for digging into the snow, these huge carnivores make light work of their prey (which are normally ringed seals). They are well-adapted to the cold Arctic conditions and are able to enter a hibernation-like state when food is scarce. In 2011, a group of students on an expedition organised by the British Schools Exploring Society were attacked by a polar bear. Sadly, one young man was killed and four others had to be treated for their wounds. Although attacks are not common, they serve as a vivid reminder of the power of these predators. 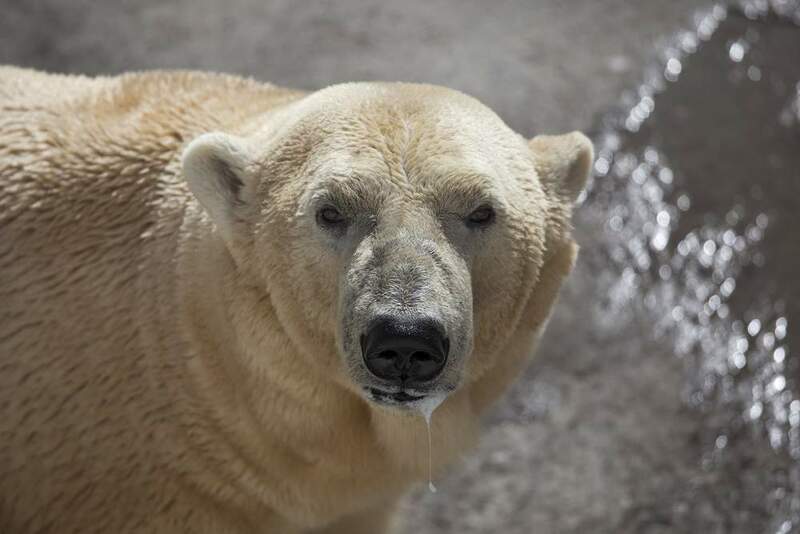 Polar bears can be found throughout the Arctic, from Canada to Norway and some parts of the US. 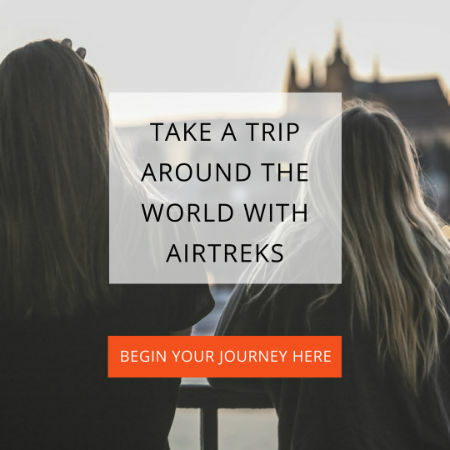 There are a number of tour operators that conduct trips into the Arctic regions. If you’d like to jump aboard a vessel filled with intrepid adventurers, why not join a National Geographic Expedition to the Arctic. 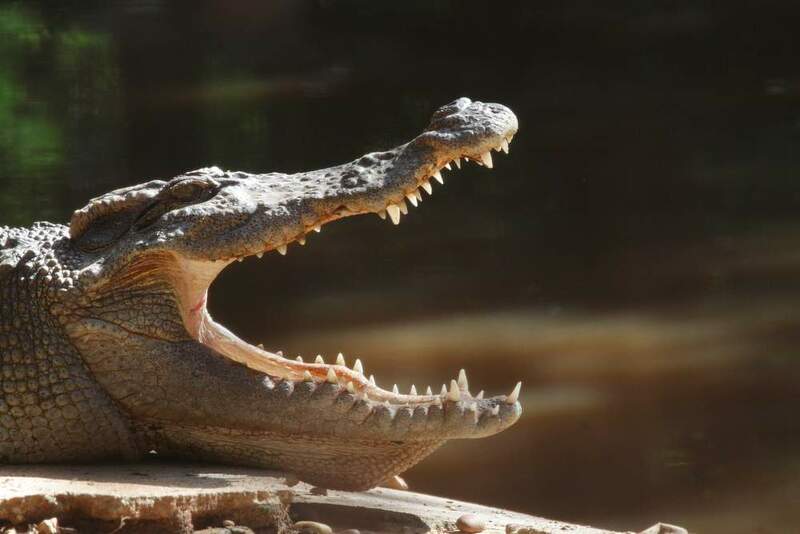 With a weight of at least 1000 kilograms (2200 pounds) and a length of over six meters, the saltwater crocodile is the largest reptile in the world. These apex predators are remarkably well-adapted to an aquatic lifestyle. A long muscular tail and webbed hind feet propel the crocodile through the water with ease, while the positioning of their nostrils, ears and eyes on top of their heads allows them to ambush their prey undetected. A flap of palatal skin at the back of their throats allows them to feed in the water and their incredibly powerful jaws make light work of even the toughest prey. Clearly marked-out croc zones and strict regulation regarding swimming policies means that modern crocodile attacks on humans are quite rare. In fact, it is often the other way around as the crocodile’s fearsome reputation can result in an untimely death at the hands of ignorant humans. That said, it’s probably not a good idea to get too close – anything that has a trademark move called the “death roll” is probably best left alone. As their name implies, the saltwater crocodile can typically be found in brackish waters near rivers or coasts. They have a wide distribution and inhabit coastal waters from Sri Lanka and the east coast of India through to southeast Asia and northern Australia. The latter has a thriving population of these prime predators where they are affectionately called ‘salties’. Make sure you plan a trip to Kakadu National Park where you’re bound to run into some impressive specimens. You could also settle for the slightly smaller (although no less impressive) Nile crocodile which you’ll find in watercourses across most of the African continent. Often the most sought after sighting for many safari-goers, the African lion is the continent’s biggest cat. Weighing in somewhere between 120 and 240 kilograms, with super-sharp retractable claws, powerful upper bodies and a jaw full of jagged teeth, these stealthy felines are built for the kill. Lions hunt alone, or in collaborative groups called prides in which the hunt is typically led by the most senior lioness. They stalk their prey until they are close enough to strike and then charge their prospective meal knocking it to the ground before administering a deadly grip around its throat. 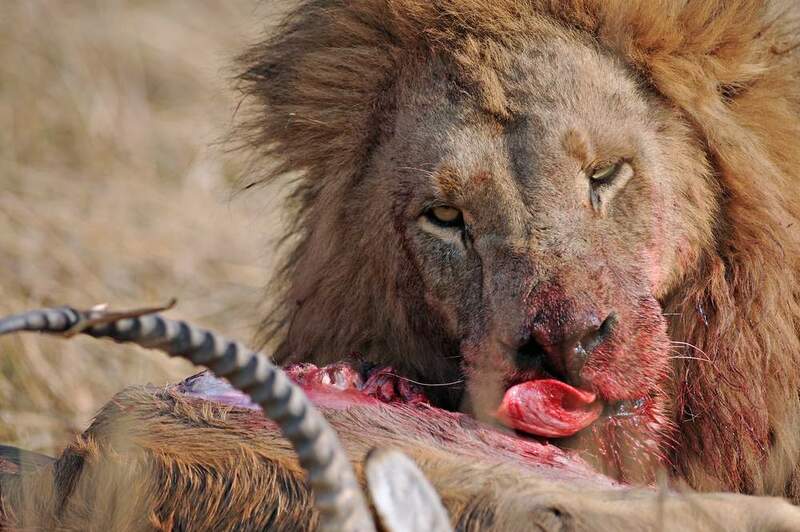 Lions have been known to attack and kill humans, however, in many instances the lions in question were suffering from an ailment and were unable to tackle their conventional prey (such was the case with the infamous Tsavo brothers). However, terrifying tales of lion attacks are definitely enough to instill some fear regardless of how often they occur. In one such tale, three workers in South Africa’s Kruger National Park arrived back late from their weekend leave but managed to convince the gate guard to break the rules and let them ride their bicycles to camp. They began the nine kilometer journey unaware of the danger that lay waiting in the darkness. An emaciated, black-maned lion attacked the workers killing one of them and leaving the others with a memory they would not soon forget. The lion was tracked down by ranger Louis Olivier and shot dead as it tore at the half-eaten body of Kruger employee Louis Mathye. But, don’t let tales of attacks put you off going to see these amazing cats; they should be admired, not feared for their predatory prowess. Lions are found in many African Game Parks, from Kenya’s Masai Mara to Botswana’s Moremi Game Reserve. The highest concentration is reputedly found in northern Tanzania or in South Africa’s Kruger National Park (especially around the Satara area). Although buffaloes share some characteristics with grazing cattle, it would be foolish to assume that these ungulates are placid or tame. Buffaloes can form massive herds which gives them the advantage of safety in numbers. It is not uncommon for a herd to successfully protect fellow members when under attack from powerful predators such as lions and they have been known to drive away an entire pride (in a famous incident recorded by a tourist in the Kruger National Park, a herd recovered a calf after it was caught by a lion pride and nearly snatched up by an opportunistic crocodile). Buffaloes are imposing, formidable grazers with thick horns and an unmistakable stare. Hunters included the buffalo in their famous Big Five list, as these bulky creatures proved very dangerous to hunt, especially if they are wounded. 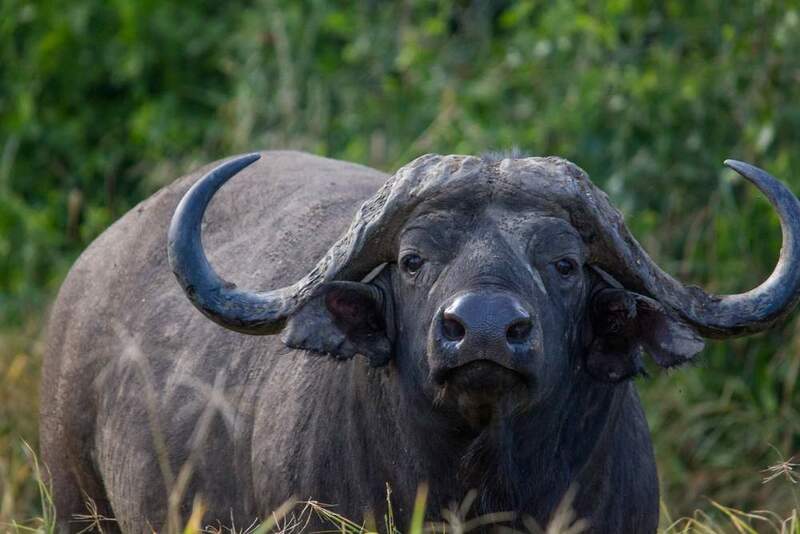 The buffalo’s range is fairly extensive and they are well-represented in parks across sub-Saharan Africa including the Serengeti and Kilimanjaro national parks in Tanzania, the Masai Mara Game Reserve in Kenya and the Kruger National Park in South Africa. The box jellyfish has earned the notorious title as ‘most venomous creature in the ocean’. Although not strictly a jellyfish, the sea wasp, as it is sometimes referred, possesses a number of long tentacles (up to three meters in length) that are adorned with microscopic darts capable of inducing extreme pain and a swift death if injected into an unlucky victim. The venom in a single animal is believed to be enough to kill 60 adult humans. 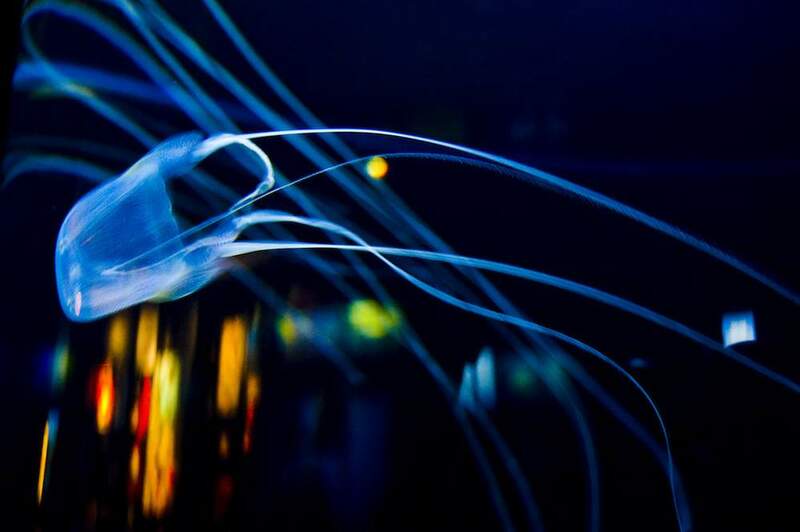 Although only a small number of people have succumbed to an untimely death at the tentacles of box jellyfish, a decent amount of contact with these venom kings could leave you dead before you make it back to shore – it is believed to potentially kill a person in about three minutes. You’ll need to get the diving kit on if you’re hoping to catch a glimpse of a sea wasp. Your best bet is to head into the coastal waters around northern Australia and New Guinea. If that fails, head up to the Philippines or Vietnam. Be sure to take some vinegar along in case of jellyfish stings – vinegar inhibits any venom darts (nematocysts) that have not been activated. With a scientific name that derives from the Greek for “man-killer”, fat-tailed scorpions (the common name given to scorpions of the Androctonus genus) are considered to be highly dangerous and are responsible for several human deaths each year. The scorpion derives its colloquial name from a large tail which houses a powerful sting used to inject its prey with venom. 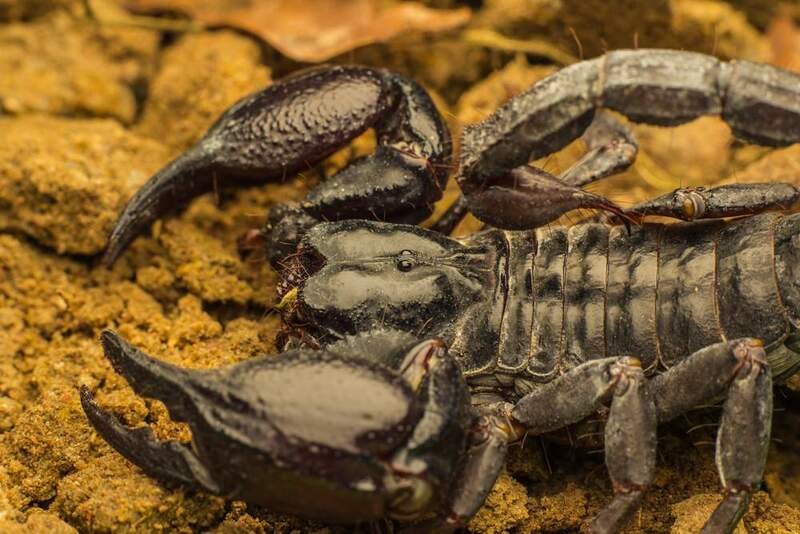 One of the reasons this scorpion is considered dangerous is because of its proximity to human habitations. Unfortunately, the species are often found hiding in the cracks of walls made from stone or brick. If you’re an arachnid aficionado and want to track down one of these powerful little predators, you’ll find various species distributed across many countries in Asia and North Africa including Algeria, Chad, Egypt, Libya, Sudan, India, Israel, Saudi Arabia and Yemen. If you’re on safari in an elephant-rich game reserve, spotting these colossal pachyderms shouldn’t be too difficult. African elephants are the largest land mammals on earth and can form herds consisting of over a hundred individuals. An adult male African elephant weighs in at about six tonnes and has a shoulder height of a little over three meters. Elephants are charismatic creatures that form powerful social bonds and make use of sophisticated vocalizations in order to communicate. The African elephant’s Asian relative is smaller and sometimes lacks the impressive tusks that are so iconic of the African species. Unfortunately, human encroachment into elephant territory has resulted in many instances of conflict. It has been reported that approximately 300 people were killed by elephants in the Indian state of Jharkhand between 2000 and 2004. 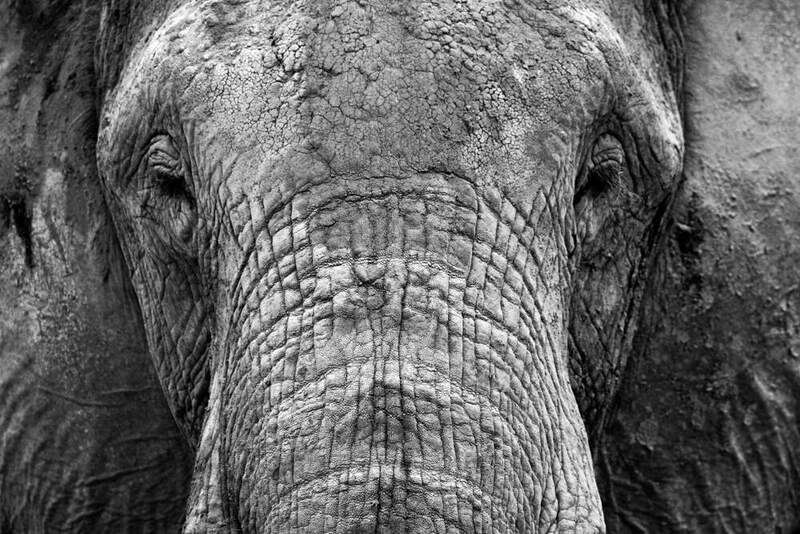 Some theorists even postulate that attacks on humans by elephants stem from a legacy of severe trauma fuelled by culling, poaching and habitat loss. Nonetheless, encountering a herd of elephants on safari is a thrilling and wonderful experience. 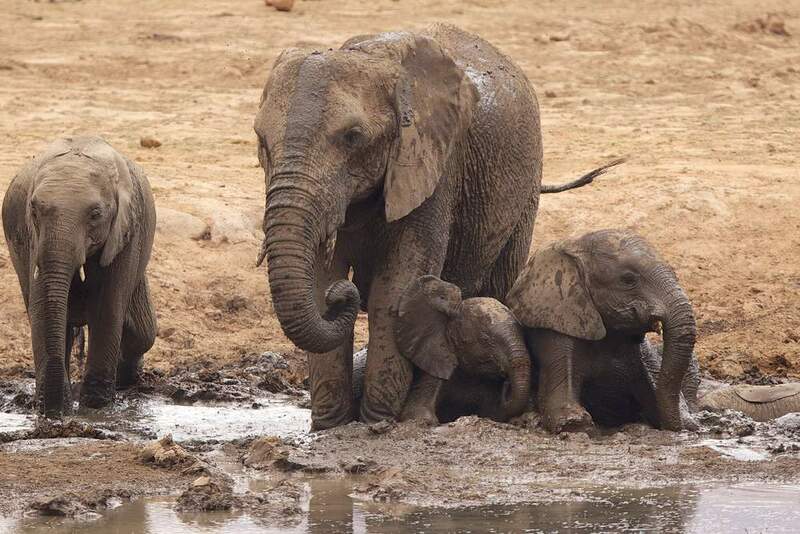 If it’s African elephants you’re after, you have a choice of 37 Sub-Saharan countries including Botswana, The Democratic Republic of Congo, Kenya, Tanzania, Zambia, Zimbabwe and South Africa. Tanzania’s Ruaha and Tarangire national parks are known for their high concentrations of elephants, as is the Chobe National Park in Botswana. Asian elephants can be found in Bangladesh, Bhutan, Cambodia, China, India, Indonesia, Lao People’s Democratic Republic, Malaysia, Myanmar, Nepal, Sri Lanka, Thailand and Vietnam. India has the highest population of elephants on the continent. Some of the parks worth checking out include Kaziranga, Periyar and Palamau. So what’s the most dangerous animal on earth? It’s an unlikely winner that kills over a million people every year. Move over man-eating lions and scary sea creatures, here comes the mosquito. These blood-sucking insects play hosts to a number of diseases, the worst of which is malaria. The parasite is transmitted through the bite of female mosquitoes belonging to the Anopheles genus. 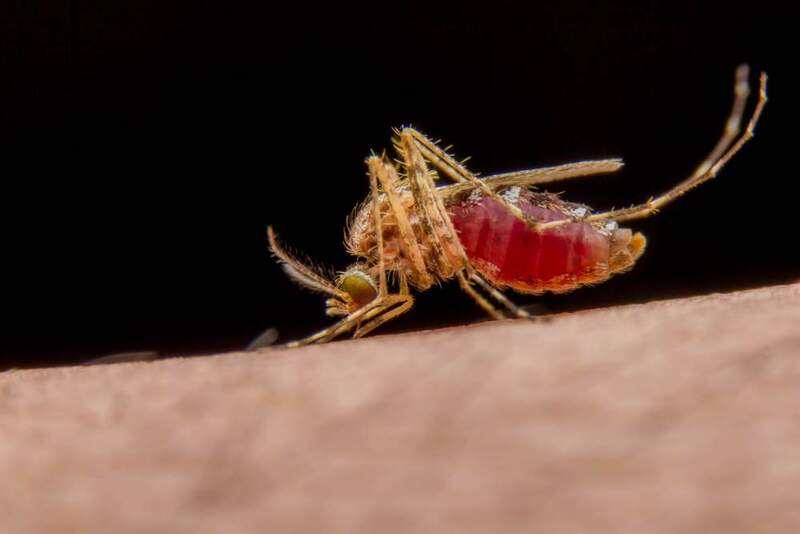 Although the genus is widespread, it is the species Anopheles gambiae, an inhabitant of North Africa that is considered to be the most dangerous. This is one animal you don’t want to add to your safari sightings list. Prevention is the best cure and it is wise to take the necessary prophylactics and insect repellent when visiting African countries that are recognized as malaria zones.